The Institute for Reproductive Medicine & Science (Clark) - Book Appointment Online! 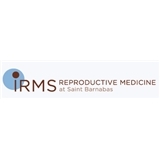 The Institute for Reproductive Medicine and Science at Saint Barnabas is one of the nation’s leading fertility centers, providing advanced infertility treatment in a caring and responsive environment. Treatment is individually designed for each patient, and may include intrauterine insemination (IUI), in vitro fertilization (IVF), ICSI, blastocyst transfer, preimplantation genetic diagnosis (PGD), egg or embryo cryopreservation, or egg donation. The physicians that are the heart of IRMS are each extraordinarily well qualified to provide both the highest quality medical treatment and thoughtful individual care. Drs Cekleniak, Chen, Garrisi, Thompson, Hessler and Keegan are all certified by the American Board of Obstetrics and Gynecology in Reproductive Endocrinology, having trained at the nation’s leading institutions (Harvard, Johns Hopkins, Cornell, Einstein, NYU). She is very good , explained me everything clearly and very caring. Dr. Mann is incredibly kind and you could tell she truly cares and wants to help. She explained everything very well and while other doctors have dismissed some of my symptoms in the past, she took everything into account and evaluated me comprehensively. Highly recommend! Dr. Keegan is wonderful. She is very knowledgeable, efficient and compassionate. I could not have had a better visit and am very thankful that I was referred to her. I highly recommend her.